The new Bronze series from Monitor Audio give an astounding level of performance well ahead of anything we’ve heard before at these price points and the aesthetics are on par with premium speakers. 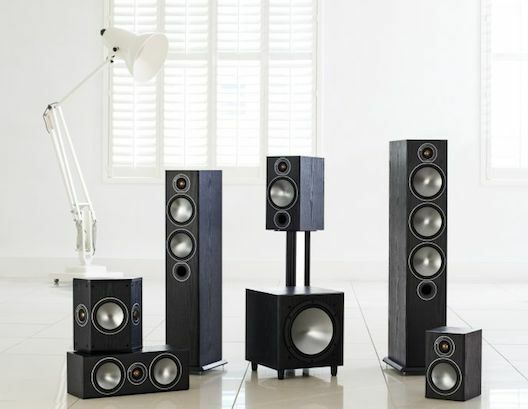 Monitor Audio again sets the bar higher for home audio with an affordable range that will work brilliantly with your electronics whether for music or home theatre. For 40 years Monitor Audio have relentlessly worked to perfect loudspeaker design that matches fine performance with specified budgets. Introduced mid 2115 the new Bronze series are several steps ahead of their award winning ‘BX’ predecessors. Careful analysis was employed to take achievements made with their higher level speakers to enhance this more affordable range. In this case the new Bronze range benefits directly from refinements made in the recently introduced new Silver range. Choose from dark walnut or black finish. Prices per pair and include GST. 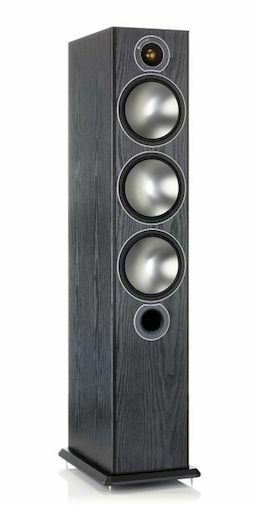 This is the first time Monitor Audio have used the steel-grey C-Cam driver cones with seamless fixings so they meld into the cabinet giving these speakers a look and feel unprecedented for this pricing level. The new 'dished' cone uses the entire surface of the cone which is designed to be able to deal with high power without distorting whilst still delivering the subtle nuances of your music. A new venting system and improved cabinet strength and damping also helps control distortion and add to a full and intricate sound. Originally used in the Radius series Monitor Audio’s 'bolt through' driver mounting is now implemented in all their speaker ranges. This braces the cabinet for better resonance control as well as making the speakers aesthetically pleasing. Of course you have the option of putting on the ‘floating’ grills. The high end detail you’ll hear comes from a new C-Cam 25 mm Gold dome tweeter and improvements have also been made to the crossover design. The Bronze range is available in either dark walnut or black vinyl. The workmanship and materials used are so good however, that if you were‘t told you would take it to be wood grain veneer, as are the ranges above the Bronze. Clearly this helps Monitor Audio utilise the high level technology that gives you performance beyond the price so we don’t think you’ll disagree with this logic. As is our way we have looked at the range and picked out what we consider to be the star performers. With the previous BX range we suggested that if thinking of the bigger floor standing models you first consider the equivalently priced bookshelf Silver models. Whilst we still suggest this the ground has slightly shifted with the new Bronze range. 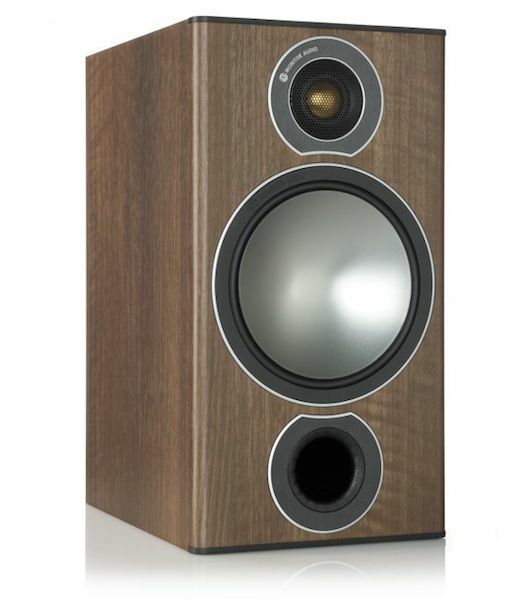 We do still think that the second up in the range the Bronze 2 is the bookshelf speaker to beat from any manufacturer. It really is extraordinarily good for the money and well worth the extra over the Bronze 1. Saying that though the 1s may be more suitable for your placement requirements and won’t let you down. The Bronze 1 and 2 are also available in a white ash finish. Here is what one the first purchaser’s of the Bronze 2s found, "I’m not an audio expert by any stretch, but I'm just amazed at how good they are. There are things I'm hearing in my favourite music that I'd just not heard before. The first time my wife heard Rachmaninoff's 2nd piano concerto through them she had tears in her eyes. You could hear doors closing in the background of the recording, it was like being there! Our music tastes are varied ranging from classical music, old time blues and jazz right through to contemporary rock, electronic and alternative. These speakers handle the whole lot easily and beautifully. They sound clean and clear in the whole frequency range from the lowest volume to as high as is comfortable. No clipping, no distortion. They look good too for what it's worth." With the new drivers and high class tweeters employed the big floor standing Bronze 6 are more than just a lot of fun. It wasn’t many years ago that you would have to spend twice the amount and still not get close to this level of performance. What these speakers do for their price is truly amazing producing a sound that is at the same time airy and spacious yet awesome and sumptuous. You’ll hear all the detail in your music while soaking up a big, deep sound in all it’s fullness, no matter what your music tastes. Regardless of which model suits you best, we can help you make the most of your choice. With the optimal speaker cable, stand and electronics options, we can put together the best sounding package. We‘ve been getting stunning results pairing the Bronze 2 with the new NuPrime IDA-8 integrated amplifier and the Bronze 6 with the Nuprime DAC-10 pre/dac & ST-10 power amplifier. Don't forget that when you deal with us you'll also be helping the little Hectors Dolphin survive with our WWF sponsorship. 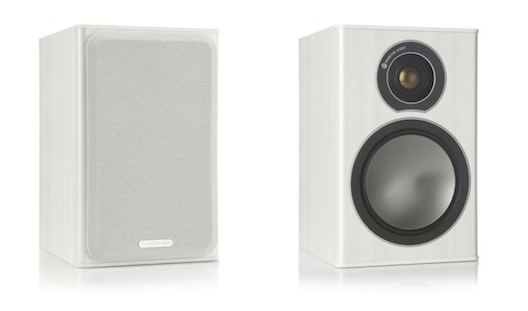 Read more about the entire Bronze range on Monitor Audio's home site here.